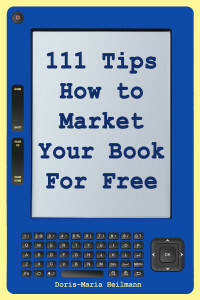 Self-Publisher’s Showcase: Today we are joined by Doris-Maria Heilmann, author of 111 TIPS ON HOW TO MARKET YOUR BOOK FOR FREE. Welcome to the Showcase Lounge, Doris-Maria. DMH: Thanks a lot for your invitation Paul, happy to talk with you today. 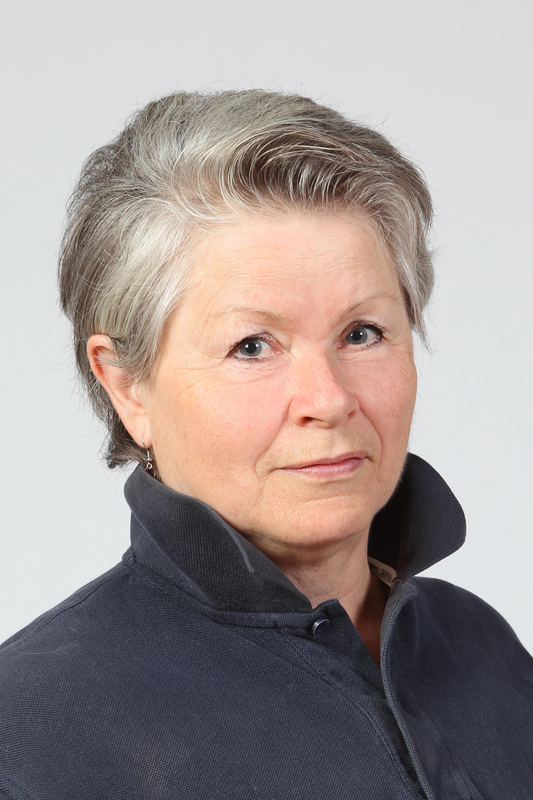 DMH: I started publishing in Europe over 30 years ago, both non-fiction books and an aviation and travel magazine. Moving to North America in 2001, it took me a while to polish my English (and French), and then to study e-publishing and journalism in college. While talking with many authors I realized their immense creativity in fiction writing, but also their lack of general publishing knowledge. So I started to help them in workshops and one-on-one consultations, and also over phone and Skype since 2011. 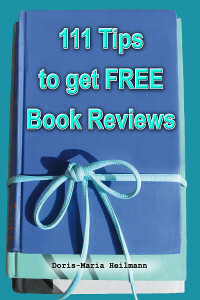 It became natural for me to write how-to guide books for authors. Only the lack of time keeps me from publishing more than two or three guide books per year. I have a long line of books to finish and publish – not only in this field, also books about travel, lifestyle and self-help – and on top of that I will be extremely busy in the next months with publishing several books of other writers. DMH: I need only two things: my Espresso machine and a laptop. If I am traveling, I can even write in coffee shops (with headsets to blog out the noise). How often I write? Better ask, when I don’t write! More or less 24/7… I am running seven! blogs, from travel, gardening, lifestyle to publishing blogs. For my “SavvyBookWriters” blog I penned more than 1,600 articles during the last 5 years. This year I cut this blog down to two articles per week, to have more time for books. I also write a monthly email newsletter with insider tips for authors. Then there is my own book writing, and the work on titles I am publishing for several authors. DMH: During the early 80’s I wrote for several aviation magazines. One of them, the best paying, was bought by a huge publishing house and all freelancer writers were informed to receive only a third of their former royalty in the future. So I decided to start my own publishing endeavor and to become their competitor. Well, as they say: “Every Exit is an Entrance to New Experiences”. Shortly after I published my first print book: Traumberuf Pilot? in the German language. It would be translated: Being an Airline Pilot: a Dream Job? This title is so far my best seller, going into the 4th edition this month. DMH: I am writing non-fiction, and this is not so much creative writing than more a kind of journalism, teaching and supporting, from my own experience and from research. DMH: Novelists work more creative, which I really admire, while I am too much down to earth to write fiction books. DMH: Mostly from thinking, reading, consulting, and researching news. DMH: I will publish a very interesting memoir of an author who’s life is worth a movie (title to be announced) and I will one of my books finish: American Way OFF Live (it’s a critical take on of the lack of care for the environment, our diet and health decisions, the stress we allow to take over our lives, and the fact that “convenience kills”. DMH: I am a small trade publisher, having published several authors, now for over 30 years, but as I am also publishing my own work through my company I can recommend self-publishing as THE way to go. There is nothing that an author-publisher cannot do what the “big Five” or mid-size publishers are offering authors. Self-publishers can outsource editing, cover design, layout, formatting, printing, distribution, and even some parts of their book marketing – just as many publishers do. And in many ways, they can do far better and earn more when self-publishing. However, it needs some entrepreneurship and the willingness to learn new things. DMH: Yes indeed. Maybe it was easier for me as I studied the right subjects at the right time, and never stopped learning and researching, and will do so for the rest of my life. DMH: You really have to love it more than anything else, read the best books you can find, work with dedicated editors and a critique group, learn not only about your craft, but also the whole publishing field, and be in it for the long term. You know the 10,000 hours, five years and five books rule you need at least to be successful? Don’t stick only with lengthy books, write short stories, blogs, magazine articles. There are so many possibilities to earn money with excellent writing. DMH: Authors Michelle A. Demers, Lawrence Winkler, Tim Ferriss, Tony Robins, and T.A. Lawrence are just a few of the many interesting people I am admiring. SPS: For more information on Doris-Maria and her work, please do visit here.